So you decided to use Beaver Builder. Now what? What do you do next? Beaver Builder is meant to be easy to use but to make things even easier for you, we have created this beginner’s guide to walk you through on how you can use Beaver Builder. First of all, you need to know what Beaver Builder can do. In WordPress, the content area is different from all the other areas like header, footer, and sidebar. The Beaver Builder plugin can be used to create layouts specifically for the content area. Using the Beaver Themer plugin, you can also create layouts in the areas that are outside the content area. Beaver Builder will allow you to create intricate layout and designs for the content section of your website. 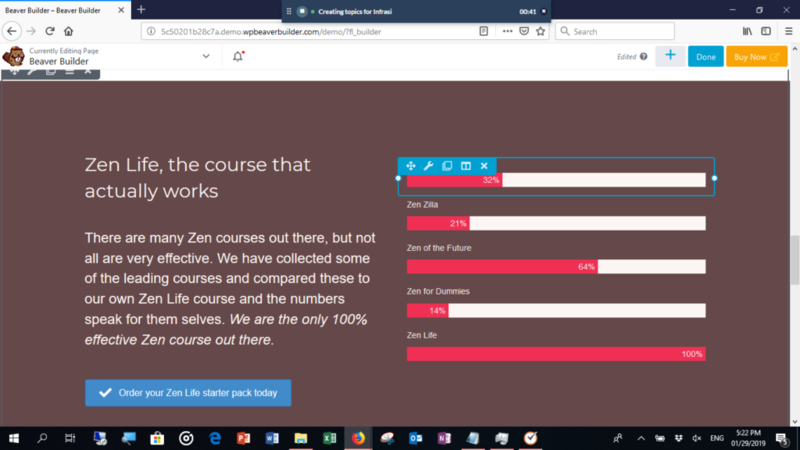 As you are working, you'll see a WYSIWYG (what you see is what you get) view of the section you are working on, so you do not have to guess how it will appear once you are done. You will see it exactly how it will appear live. You have the option of starting from scratch, or you can use one of the layout templates from Beaver Builder. After you have created a new WordPress Page, you just have to click on the Launch Beaver Builder button. Once you click on that, you will see the editing page. Once there, you can start dragging and customizing the different modules that you want to see on your site. If you don’t want to start from scratch, then you can click on the tab that says Templates and use one of the existing layouts that are available there. You can modify those existing layouts to suit your needs. Simply drag the content modules and place them into the layout area. As you add more and more modules, designing will become a bit tricky. It would be best for you to place rows first and then add the content modules inside the rows. Beaver Builder is designed so that your layouts will look good on tablets and smartphones. You can make further changes to the spacings of the various elements to further improve the responsiveness of your site. You can choose to save the layout that you are working on globally. That means changes you make in one location will be reflected in other locations. You should remember that, by default, Beaver Builder can only be used for WordPress pages. You can enable it so you can use it to layout individual blog posts. As mentioned earlier, Beaver Builder will enable you to build and customize the content section of a site. 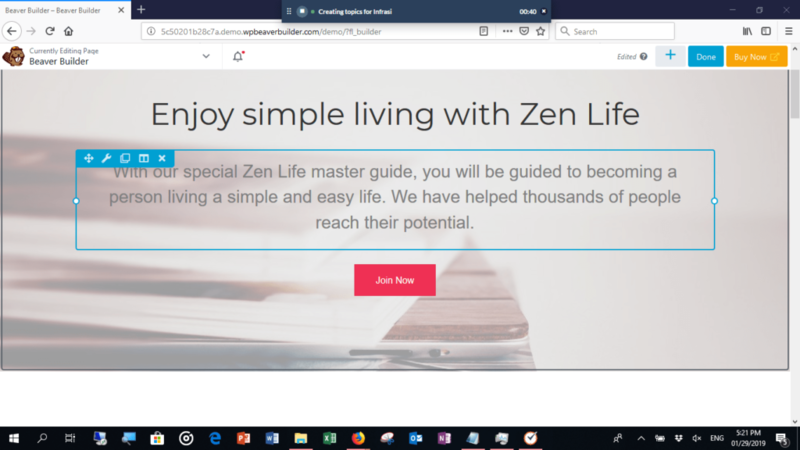 In order for you to make changes to the sections such as the header, footer, and sidebar, you'll need to use Beaver Themer or make changes to your site's theme. The header and the footer have two areas each. For the header, there is the top bar and the main header. For the footer, there is the main footer area and one for footer widgets. By default, the sidebar is not enabled. When you enable it, the sidebar can be made to appear on all the pages of your website. You can add and remove widgets from the sidebar from the widgets section of the WordPress admin panel. Operating systems (iOS and Android) for mid-sized and small devices like iPad are not supported. For performance and security reasons, we recommend using the latest version of WordPress and the highest version of PHP available on your host. We provide support to all products sold on www.wpbeaverbuilder.com. Old versions of the product are going to be supported until the subscription expires. We will answer general questions, assist configurations for installations, and help with general usage. The support we provide also covers fixing bugs. We do our best to fix those as soon as they are brought to our attention. Support is provided through the support ticketing system. The system is secure, and we make sure that all information you provided while requesting support will only be accessible to our support team and you. While our official support ticketing system should be able to help you with all your concerns, there are thriving Beaver Builder communities on Slack and on Facebook. These are great places to ask general questions, share your work, and meet other Beaver Builder users. 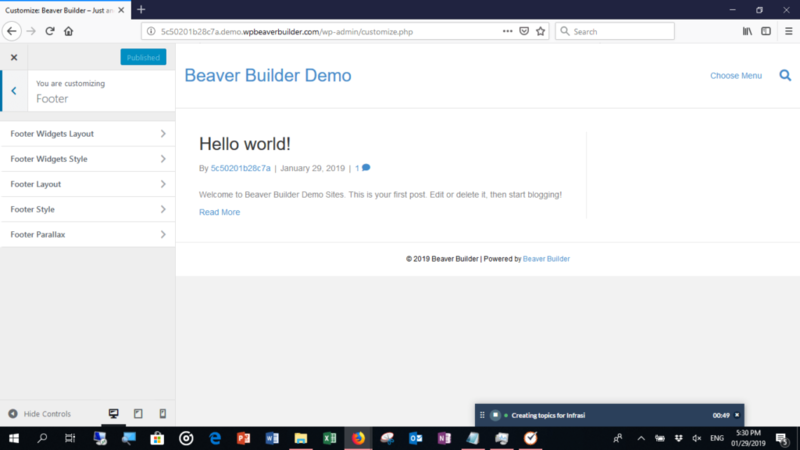 Those are just some of the things that you should know when getting started with Beaver Builder. We want you to be free from worries about technical matters so you can create the design and the layout that you need for your website. With Beaver Builder, you can easily build the website that you want on your own. You will not be restrained by the limitations set by WordPress. Now get to building a beautiful site!